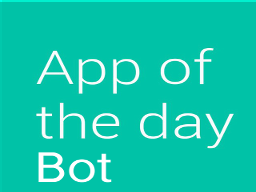 AppOfTheDayBot gives you a free, unique and cool app everyday for iOS or Android. How do I stop receiving the notifications? Hi Carlos, each creator sets up a command for that. Normally you should type /stop to stop receiving notifications.